How do Red Dot Sights perform in Darkness? →Are Red Dot Sights Useful In The Dark? Ask anybody who already uses a red dot sight to help aim better, and they’ll tell you that using one is worth it. If you’re on the hunt for a way to get better at hitting the targets you pick, then using a sight is a smart move. A sight is just a device that you can attach on your firearm. It gives you a red dot right in the center of a lens, letting you calculate where your bullet is going to land. If you’re a hunter, then having access to this sort of improved accuracy can be a game changer regarding cutting down on how many misses you have. However, what happens when the environment is dimly lit? 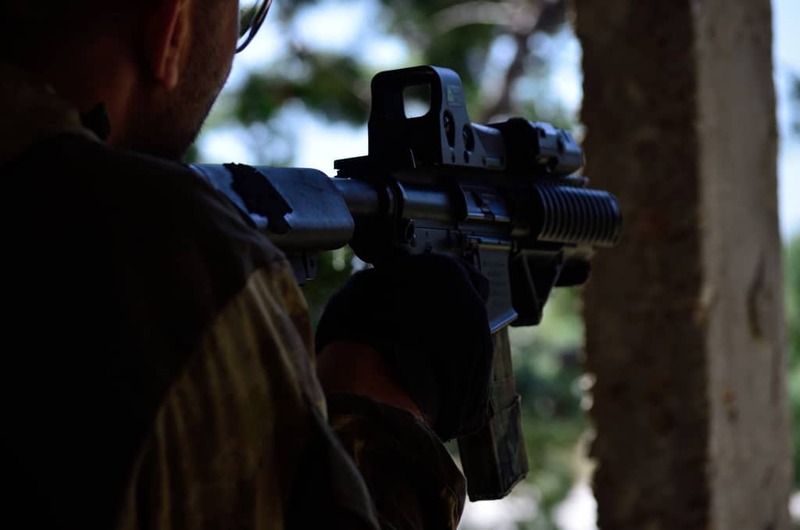 Will a red dot sight even work in the dark? This article is going to cover what red dot sights are, how they work, and how one might benefit you. The content will also include whether these devices will even function in dimly-lit circumstances or at night. What Exactly Is A Red Dot Sight? A sight is the name for an extra tool that you might attach to a firearm to have better odds or to hit your target. Sights don’t typically have magnification, but what they do offer you are dots, crosshairs, or various other symbols that help you see your bullet should land once you fire. Red dot sights typically are intended for use with short-distance weapons, meaning that you ought to use them for rifles, handguns, and other short-ranged guns. The reasoning behind this is that every sight is usually calibrated to estimate a particular distance, like 100 yards for example. If you go above the stipulated range, then you might risk missing your target. Why Would You Use Any Red Dot Sight? If you’re a hunter, then you only get one shot before scaring away your target. Using a red dot sight might give you additional guidance and visibility so that once you wind up pulling your trigger, you only need that one shot. Sights can improve your accuracy, enhancing your ability to lock on your target faster, and give you a much better idea where your bullet is going to land. Every one of these factors is crucial to successful hunting, so why would you pass up on any of these? Will Red Dot Sights Function At Night? Sights function either by using a light or laser to project that crucial red dot through the lens. The lens is manufactured so that only particular colors get reflected, which is what lets the red dot light come back to your eyes and also be on the target. Red dots sights can work in all kinds of lighting, assuming that you have the appropriate type of sight. The current market has some different options available, and every one them is intended for use in different kinds of settings. These project laser beams onto the lens before focusing it on whatever you’re aiming at. These sights can give magnification, which lets you keep both eyes open in tracking your target. They also allow you to enjoy quick target acquisition. Laser sights are commonly seen in movies when snipers are sitting atop buildings with bright-red lasers pointing off into the distance. These units don’t typically see used in hunting, but they can be useful in darker environments. These might also get referred to as iron rifle sights. This classic sight set-up has been around as long as firearms have. A cutout or window is put on top of a gun that the shooter can look through. It might be shaped like a rectangle or a ring in most cases. Whatever the shape, the shooter looks through it so they can see where the rifle barrel end is. That’s because the front of that gun has to be lined up with the intended target. 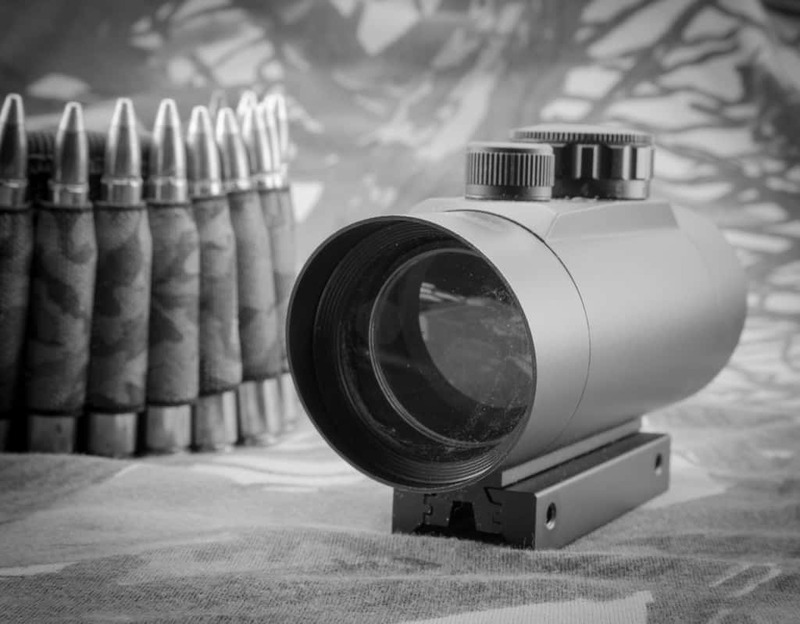 Also known as rifle scopes, these are used most frequently among hunting sights. They have a small tube which can be attached atop rifles. With the power to give up to 30x and more magnification, they’re great for long-range hunting, since you can get a pinpoint view of a target and where you want to aim. Among these various sights, which one is most useful in a night hunt? When you pick out one to use, you need first to consider how dark it will be when you go hunting. 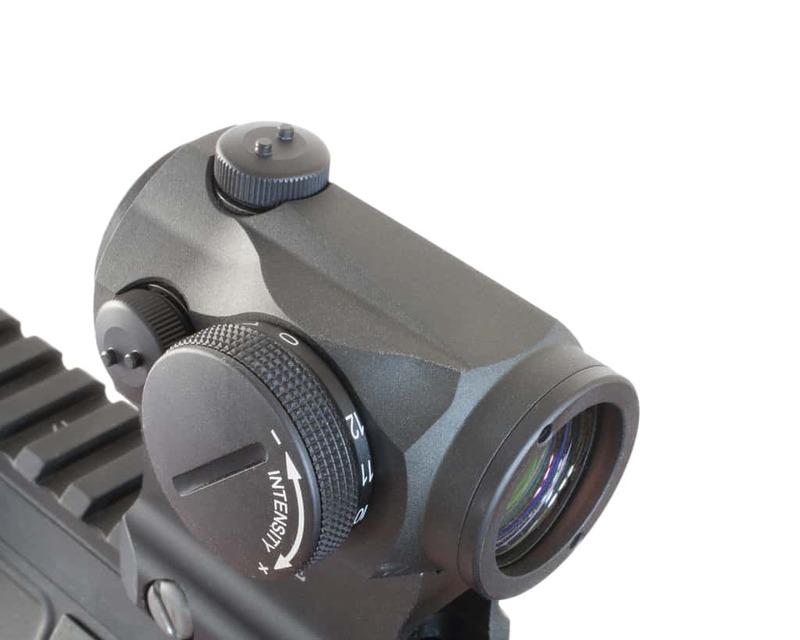 Many dot sights have been made explicitly for use at night, and some even have night vision. You can also use a laser sight when it’s night. On the other hand, given the brightness of the laser, you might scare off animals with it. To solve this, think about using a sight that has a feature for adjusting the level of brightness involved.